Presta Shop is open source software that can be installed and configured easily and helps to build out-of-the-box eCommerce websites. The best thing -it is available for FREE! Several additional modules are also available that can be downloaded and installed to develop a highly functional eCommerce website. V1 Technologies has helped several online businesses increase their profit margins by designing and developing Prestashop eCommerce websites. With Prestashop, starting an online business has become easier due to better functionality and easy shopping cart integration. The back end is extremely user-friendly, which means anyone can manage inventory, shipping, orders, etc. without hassles. Stuck with PrestaShop - Why people love it? Millions of web developers across the world use several open source platforms due to the ease of coding and integration. 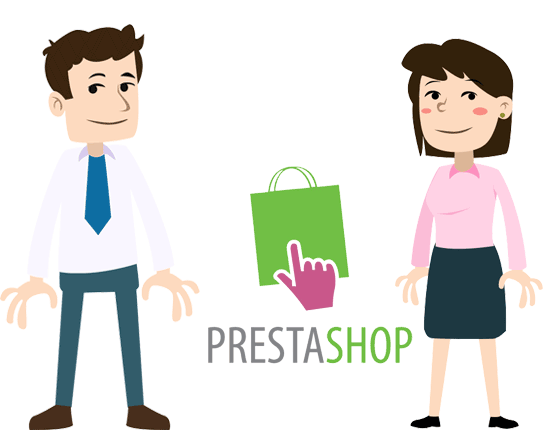 Prestashop is another open source platform that is equally easy to use and convenient. PrestaShop CMS Integration is extremely easy and managing content, inventory, shipping and returns become easier with Prestashop. A number of web development companies across the world prefer to build websites using Prestashop, since it easy to integrate, offers user-friendly navigation and the templates are easily modifiable. So if you want to take advantage of a highly functional and feature-rich website developed in Prestashop, get in touch with V1 Technologies at the earliest.